Plans for an 8,000 megawatt hydroelectric dam in the heart of the Brazilian rainforest have been halted after backers failed to supply the necessary environmental impact study. The proposed São Luiz do Tapajós (SLT) dam, fiercely opposed by local tribes, would have flooded 145 square miles of land currently occupied by 12,000 Manduruku Indians. 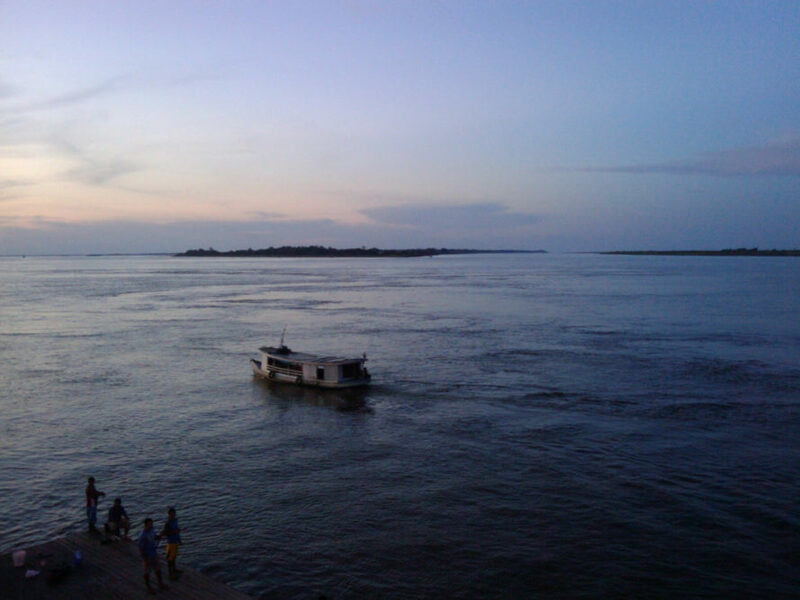 Brazil’s environmental protection agency, IBAMA, cancelled development plans on Thursday, citing the absence of required reports on the social and environmental impact of the massive hydroelectric project. The dam’s backers are comprised of a number of Brazilian, European, and other companies, and locals have long been wary of the impact such a huge project would have. Human rights groups and environmental activists had previously spoken out against the project, claiming that backers had failed to take into account the full impact of the dam, including its effects on biodiversity, aquatic ecosystems, and greenhouse gas emissions, as well as the impact on communities that exist downstream from the planned site. For the natives who live in the area that the dam would have flooded, the environmental agency’s decision was a welcome one but it does not mean that tribal people are ensured safety. “We Munduruku people are very happy with the news. This is very important for us. Now we will continue to fight against other dams in our river,” said Arnaldo Kabá Munduruku, general chief Munduruku. Although the backers can submit another application for an environmental permit, it is more likely the project is dead in the water. A new environmental impact study would be costly, and the prevailing public opposition to the dam makes it less likely that the consortium will attempt to move forward. In an interview with Valor newspaper, Brazil’s environment minister José Sarney Filho said the SLT dam was “entirely dispensable,” adding that the same amount of energy could be derived from smaller power generators and other renewable sources. Had it been built, the SLT dam would have been the world’s sixth largest hydroelectric dam, spanning the river’s five-mile width. A massive hydroelectric dam that would have displaced 12,000 Manduruku indians in Brazil was denied permits by the country's environmental protection agency.